With Spectacle Lenses, there is a wide range of available features. New technologies has brought us a range in lens power that is virtually unlimited. However, not all available features are right for all of our patients. As such we provide you with a brief discussion of each of these features so when you visit our office you will have some ideas of what features might work best for you. We will discuss all of these and how they fit your needs. Lenses are often tinted for a variety of reasons. Sometimes the color is to just added as an accent of color to the already stylish frame. Other times the patient is super sensitive to bright light (Photophobia). Migraine headaches or severe allergies are but a few of the reasons for this. 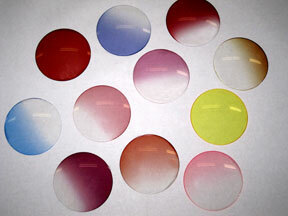 Tints can be a “Solid” color, where the color is the same throughout the lens. Tints can also be a gradient where the top of the lens is dark and the bottom of the lens is clear. This is useful for those who are sensitive to overhead flurescent light but when they are trying to read they want all the light they can get. If you use sunscreen to protect your skin when you go outside, then what are you using for your eyes? 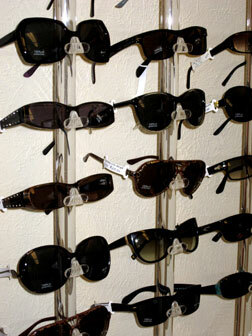 Sunglass Colors tend to range from a Neutral Gray, Brown, green and variations of their combinations. We offer any color or density you can imagine. Mirror finishes are also available. Dermatologists tell us that many skin cancers originate from excessive sun exposure. For younger children, ultra-violet from the sun is even more damaging. This holds true for children’s eyes as well as their skin. 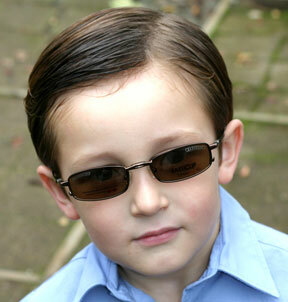 We recommend sunglasses for children as well as a cap with a “bill” to protect their young eyes. Polarizing sun glasses eliminate reflected glare from wet road surfaces, bumpers, windshields and water on the road, lakes and rivers. This is particularly useful for drivers, boaters, fishermen, hunters and any outdoor activities. Hunters tend to like yellow or orange lenses since they increase contrast during the daybreak hours or twilight hours. During those hours the sun is at its greatest angle with the earth and therefore light passes through a denser atmosphere. As such, light is more bluish during those hours. As this bluish light passes through a yellow lens the blue wavelength is filtered out and only the remaining colors can go through. Since the blue light can’t get through the lens, blue objects appear to be darker or even black. That increases contrast against all the other colors. Transition and Photogray lenses change with the light. Light from the sun contains Ultra-violet wavelengths (over 700 nm). It is the ultra-violet that creates a change in the chemistry of the lens. This change causes the lens to darken. Transition refers to plastic light weight lenses. Photogray refers to glass lenses. 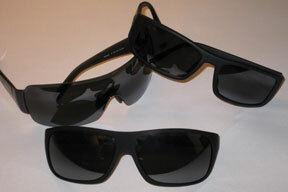 Both of these photosensitive lenses block over 95% of the Ultra-violet rays. When indoors, and out of the effect from sunlight, the lenses lighten up nearly perfectly clear. When in your car, the lenses are only about 25% dark due to the fact that the car windshield blocks about 50% of the UV. Transitions come in two densities. If you prefer clear lenses when you are indoors, the the traditional Transitions lens is best for you. However, if you are sensitive to bright light and prefer a comfortable light tint indoors and you want moderate darkening in the car, then you should use Transitions XTRActive. When you look at a high quality camera lens you will note a purplish sheen to the surface of the lens. This is an Anti-Reflection (ARC) Coating which is baked on the lens. This same anti-reflection coating is available for your glasses. This coating reduces reflections and glare from lights by over 80%. This feature is particularly useful when driving at night, when there is a multitude of streetlights and car lights that are reflecting off the surfaces of your lenses. 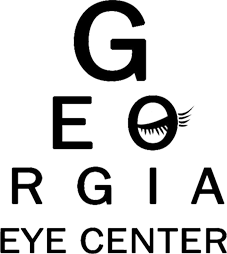 Glare while driving or while on a computer can create a lot of visual discomfort. ARC is important for all daily tasks by reducing reflections giving you clearer vision. Another cool feature of ARC is that it is “Hydrophobic”. This means that water beads up on a lens with ARC on it. As noted in this example, on the right lens, water beads up and will roll off the lens when it is raining. Water spreads out on the left lens and makes it impossible to see through it. The final feature of ARC is that it also has the hard coat finish built into it. This gives your lenses the same hard finish as the Hard Coat listed above.